Photo courtesy of Here Today Photography. 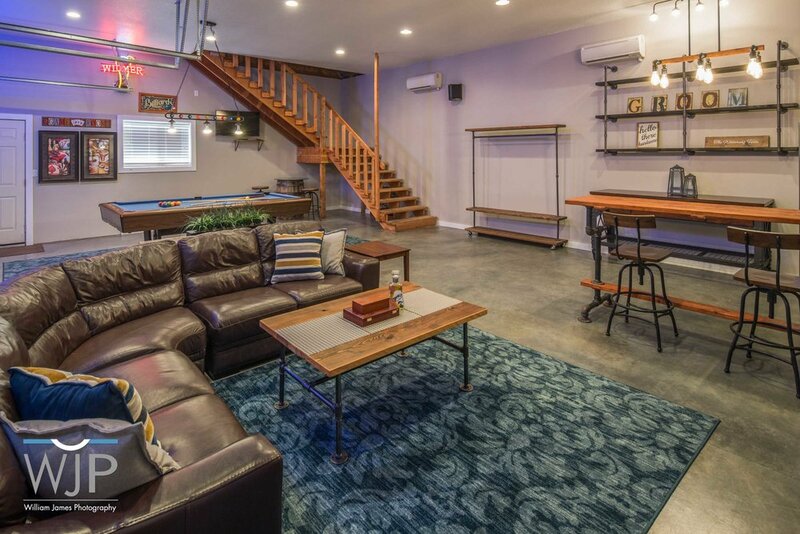 Our Groom’s Cottage features a dry bar with a full size fridge, a dart board, a pool table, a changing area and a sitting area with a big screen TV. Photo courtesy of William James Photography. Photo courtesy of Cavens Photography.